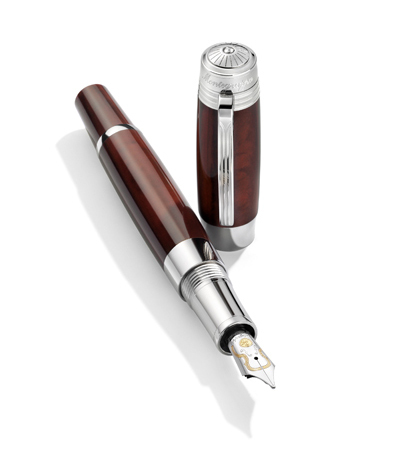 Montegrappa, the first Italian manufacturer of writing instruments, opened in Bassano de Grappa in 1912. Nearly a century of superb pen craftsmanship has passed for this Italian pen brand now known around the world for its creativity and style. Penbox can supply all Montegrappa writing instruments, pen pouches and Montegrappa pen refills. A choice of platinum, gun metal or rose gold trims. Inspired by the art of mosaic. Please telephone for pricing and availability.